NeuroVisual Specialists of Florida and iSee VisionCare are dedicated to providing the highest standard of optometric care in a calm and nurturing environment. As the only certified optometrist in the entire state of Florida specializing in the area of NeuroVisual Optometry, Dr. Sonneberg is dedicated to treating patients that suffer from binocular vision dysfunction and vertical heterophoria. Patients have traveled from all over the state of Florida and many other states including Miami, Key West, Jacksonville, Naples, Sarasota, Tallahassee, Pensacola, Georgia, North Carolina, Kansas, the Bahamas and Mississippi to find relief from their symptoms of headaches, dizziness, nausea, anxiety, balance issues and double vision. Since 2016, we have been focused on helping patients of this often-overlooked condition. In addition to our neurovisual treatments, we also offer comprehensive vision care for the whole family, including eye exams, vision exams, contact lens exams and glasses. Dr. Erin Sonneberg, OD, received her Doctor of Optometry degree from New England School of Optometry in Boston, Massachusetts in 2004. She completed her undergraduate studies at City University of New York, Queens College in 2000, where she graduated with honors in business. 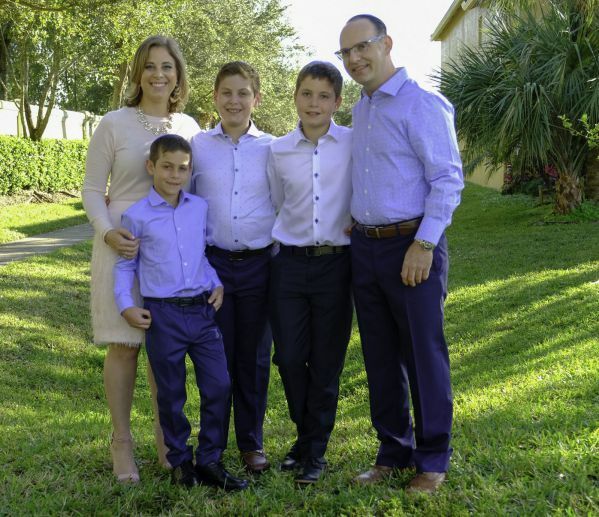 Dr. Sonneberg relocated to Boynton Beach, Florida, in 2006, and has been practicing alongside prestigious ophthalmologists in the area since that time. In 2016, Dr. Sonneberg travelled to Michigan to receive intensive training to become a certified neurovisual optometrist who treats binocular vision disorders and vertical heterophoria. Trained by the foremost expert in the country in neurovisual optometry, Dr. Debby Feinberg of Vision Specialists of Michigan, Dr. Sonneberg is the only certified neurovisual optometrist in the state of Florida, and one of only eight in the country. Dr. Sonneberg’s patients now include not only local residents, but individuals who travel from around the country to seek out her unique expertise in this field of practice. Dr. Sonneberg’s passion lies with helping individuals suffering from binocular vision dysfunction. In addition, her practice continues to provide routine eye exams and contact lens fittings, as well as the management of glaucoma, cataracts, macular degeneration and dry eye syndrome. Dr. Sonneberg is well-known for her thorough examinations and her warm and caring demeanor. Dr. Sonneberg is happily married and the mother of three children. When not caring for patients, she can be found spending quality time with her family. One of her greatest enjoyments is cheering on her children at their various sporting events. Ready to get help for binocular vision dysfunction? The team at Florida’s only neurovisual optometry practice is ready to serve you. Call NeuroVisual Specialists of Florida and iSee VisionCare today at (561) 733-9008 or contact us online.